Can i connect the usb pendrive in my karbonn s5 plus phone??? 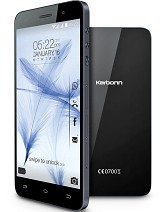 My Karbon S5 Titanium`s Operating system got corrupted all of a sudden after using 1 year. Where to get correct at Mysore? How much it will cost? the phone is good.it has been 1 year almost i am using and it is working good. ajay, 27 Nov 2014how can i install whatsapp plus in karbonn titanium s5 plus??? ?I want to also install Whatsapp + but i can't plz tellme how can i do this?? Anonymous, 16 Jan 2014i don't see any ^ icon in the video reviews .. where is it located?I purchased Mob.on 20/10/2014.My probelm is of low and wavy sound quality.How this can be improved.Otherwise phone quality is good. 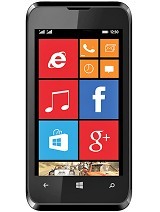 guy u expect what quality from this fone and in this prize range. Please dont buy this phone The android is corrupted and i do the factor reset and the cemera is no working Fine always and its only 3-5 megapixel not 8 mp. pls. tell me,, i am going to buy it..